While diet has a profound effect on overall health and wellness, it also affects one’s oral and dental health. Thus, while a diet high in sugar can cause tooth decay and cavities, it can also lead to diabetes and other medical conditions. Interestingly, for those living with a disease such as diabetes, for instance, they are already at a higher risk of tooth decay and tooth loss, given the body’s inability to maintain adequate blood sugar levels. What’s more, infection (including gum infections) within the body causes blood sugar to rise, which leads to dry mouth and other complications that affect dental health and existing health conditions. Because of the strong link between diet and oral health, dental professionals continue to devote ample time educating patients about the importance of regular dental checkups and examinations. Drink water – plenty of it! While water flushes out the body and aids with digestion, it also washes away bacteria in the mouth. Add a little variety to your diet. Choose a combination of whole grains, fruits, vegetables, dairy, and lean proteins such as skinless poultry and fish. Keep snacking between meals to a minimum. When teeth are constantly bombarded by foods, especially acidic foods and beverages, the natural process of re-mineralization is disrupted. Thus, if you must snack, choose fruit, raw veggies or cheese to balance the pH in the mouth. Whenever possible, choose beverages that are unsweetened. If eating sugars and high carbohydrates snacks, be sure to pair with water. About an hour after eating, brush and floss your teeth to eliminate harmful bacteria from resting on gum tissues. Did you know? It takes less than one minute for bacteria in the mouth to convert sugar into acid that wreaks havoc on tooth enamel. Thus, one can never underestimate the impact of diet on tooth enamel, or health in general for that matter. Are you looking for a new dentist? What better way to begin the New Year than with a new commitment to your oral health? After all, your overall health will benefit as well! The team at Alora Dentistry makes patient care and comfort a priority, and that’s why we’ve made information about financing, first visit, patient forms and patient specials easily accessible on our website. In turn, we provide family block appointments that work within your busy schedule. 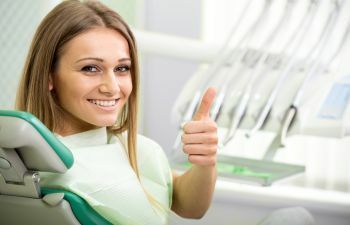 To take the first step towards optimal oral health, call Alora Dentistry in Napa Valley today. Pediatric Dental Care – It’s Important!